Hope Awaits Ministries hasn't added a story. In a recent survey it was found that there are 156 absolutely homeless and 357 people at risk of becoming homeless in North Bay, Ontario. Hope Awaits Ministries is a registered Canadian charity that is looking to meet that need. Currently in North Bay there is not a men's homeless shelter; that's where we come in. Hope Awaits is seeking to provide a 10 bed shelter to men in need, as well as providing a social hub for men, women, and children to come during the day, and various life skills courses to help the men learn the necessary skills to be self sufficient. Our mission is to proclaim and demonstrate the life-changing Gospel of Jesus Christ through meeting the spiritual, physical and emotional needs of those who are homeless or in need of hope. We are currently in the process of purchasing a building so we can begin operations, but we need your help! The money raised through this campaign will go directly towards purchasing the property, paying for the necessary renovations and purchasing necessary furniture. We are calling you to help bring Hope to North Bay! Please consider changing someone's life by donating to Hope Awaits. We also need your help getting the word out about our ministry! Share our story with your friends, and together we can help the hungry and hurting in North Bay! Hope Awaits Ministries hasn't posted any updates yet. Hope Awaits Ministries is managing the funds for this campaign. 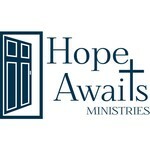 Hope Awaits Ministries is a verified organization.